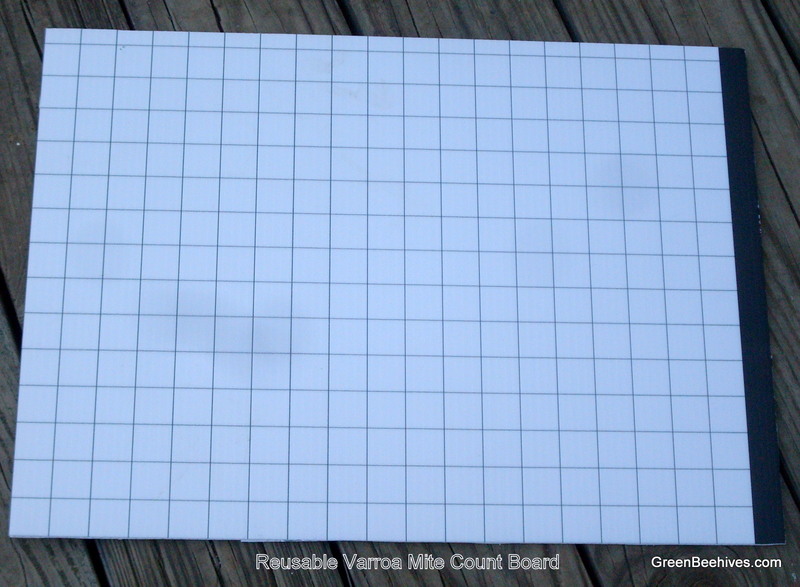 This plastic corrugated reusable mite count board is cut to fit under a Langstroth 10 frame or 8 frame hive with a screen bottom board. You can add a layer of 8x8 screen over it if you have a solid bottom board. Just spray the printed graph side with cooking oil like Pam. Place it under the screen bottom board for 24 hours. Remove and count the Varroa mites. If over 100 mites are counted, you may have to take some action. 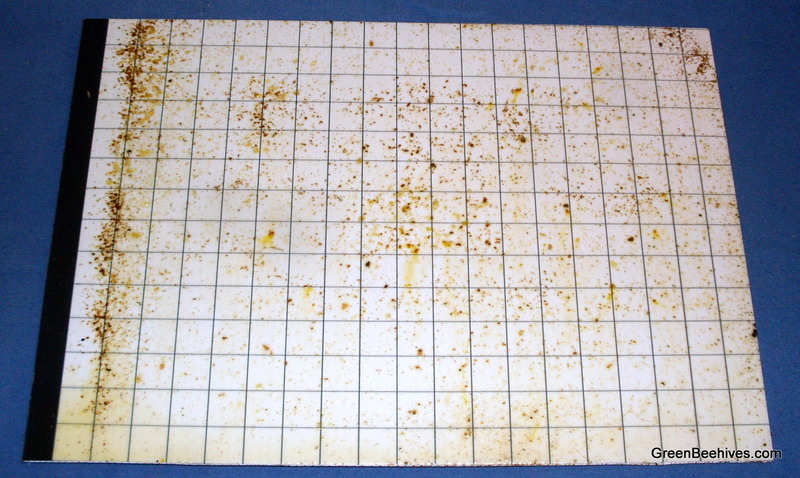 After you have counted and recorded the mites, you can wash the board with warm soapy water and use again. Unlike sticky boards, they can be used over and over.